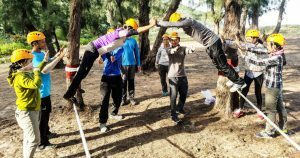 By inspiring Outward Bound Vietnam participants to be their best selves we will strive to become an integral part in the continued development of a positive and productive culture in the society in which we live. To help people recognize their true potential through experiential learning programs that include adventure, challenge, service and discovery. To work with our hearts and minds to ignite the potential of our participants, ourselves and the nation. Through adventurous and challenging experiences, we aim to foster empathy and understanding of the self, other people and the whole world around us. An absolute and uncompromising commitment to serve in a manner that is both honest and responsible. To be an adaptive organisation who is at the forefront in designing and operating pioneering experiential learning programs within Vietnam. We strive for an are relentless in our pursuit of excellence in safety, quality, staff professional & personal development, and applying Outward Bound philosophies, standards and ideals. Outward Bound courses encourage participants to develop greater understanding of themselves, of others and of the community around them through insight into the physical, mental, emotional and spiritual self. Ability to transcend self-imposed limits. As a values-based organization, Outward Bound asks course participants to embrace our common humanity, our diversity and the natural world. Outward Bound courses promote a caring connection among participants, instructors and the world around them. Compassionate behaviour and a service ethic are essential to successful completion of an Outward Bound course, encompassing both giving to and receiving from others. A sense of responsibility for self, for others and for the environment is a central tenet of Outward Bound’s teachings. Participants are asked to make choices and take actions that will result in a positive impact on society and the environment. Outward Bound is committed to an educational process based on instruction, action and reflection. Experiences on Outward Bound courses are intentionally designed, presented and reviewed to instill Outward Bound’s Core Values and Operating Principles in a manner that ensures that the learning is transferable to other situations. Outward Bound is recognized as a leader in providing experiential education in the outdoors where activities require special effort and where remarkable experiences involve uncertain outcomes within acceptable risk. 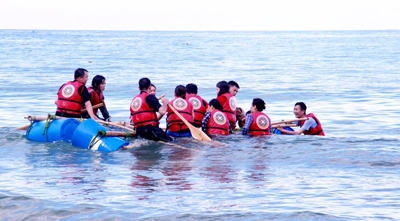 Outward Bound courses are delivered with high standards of quality and risk management. Instructors are trained and experienced in facilitating learning through adventure. They have highly developed outdoor leadership skills and through creative talent, they design and deliver learning-focused programs.